Wow! ..... another bank holiday! A significant number of contributions this week means that I have had a lot of choice and therefore some difficulty in keeping the page to manageable proportions. Now, don't get the wrong idea and do please send everything you can but I hope you will appreciate that I have to edit to produce something for everyone. 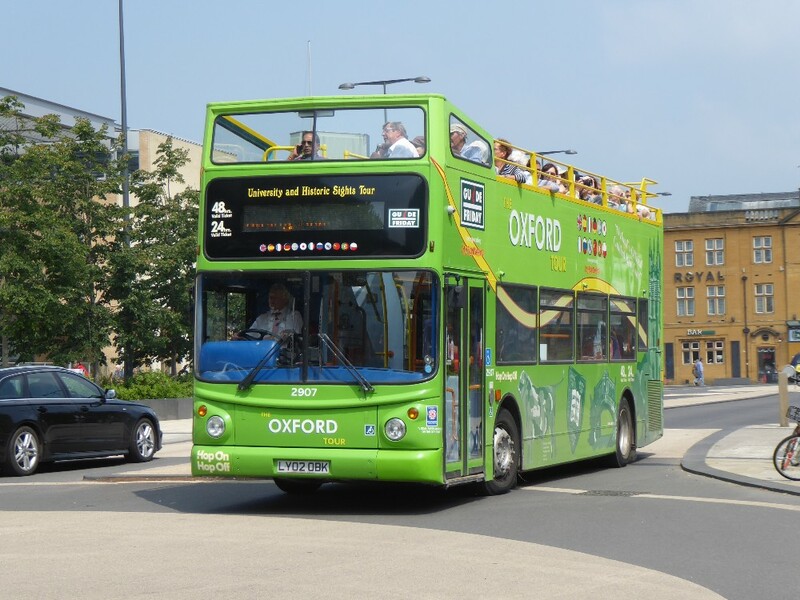 The holiday weekend saw a music festival returning again to South Park in Oxford and Oxford bus running special services to convey festival goers to the event. 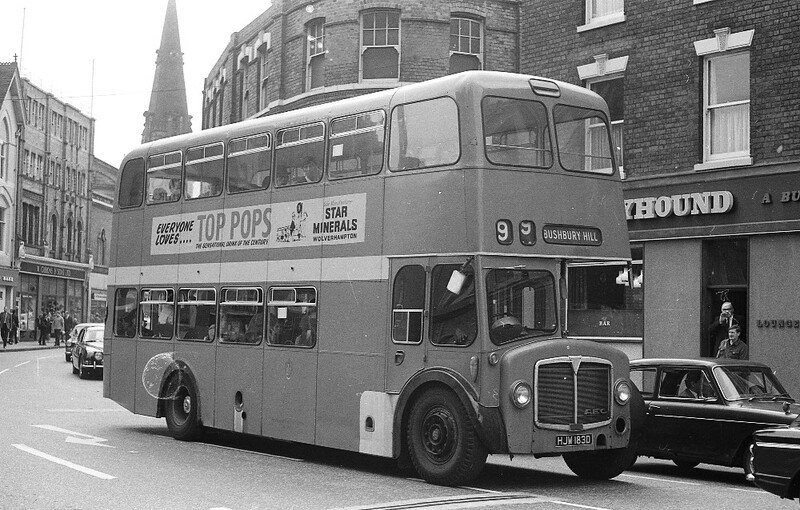 There was a regular Shuttle Bus service (route 450) running from Oxford Train Station and the High Street to and from the event. Tickets can be purchased on the bus priced £5 per adult (return) or £3 per child (return). A Family Ticket is also available priced £12 (for 2 adults and up to 3 kids). 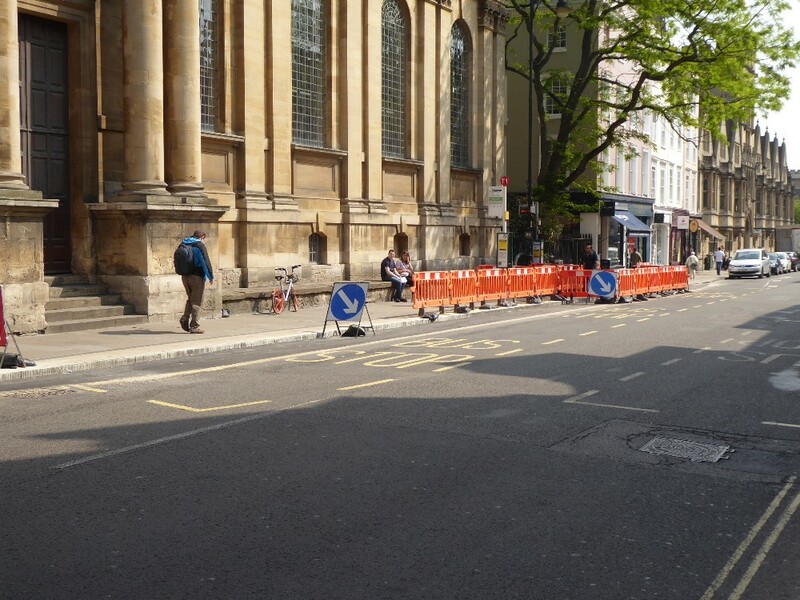 Prices if boarding on Oxford High Street are £2.80 per adult (return), £1.80 per child (return) and £7 per family. The Shuttle Bus service ran continuously from 9.45am to midnight, with frequent intervals at peak times from 11am to 3pm, and 9pm to midnight. 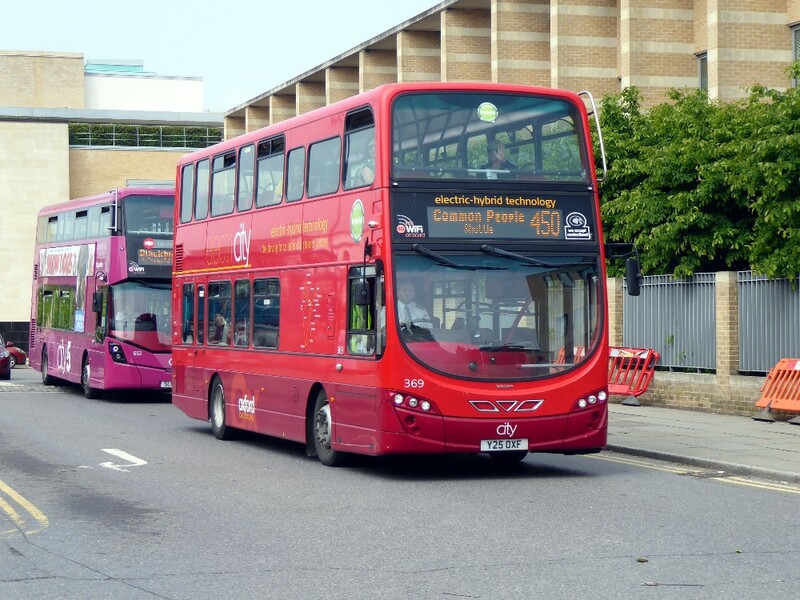 Gavin Francis took some pictures at Oxford Frideswide Square of buses involved on May 26th. ..and then some pictures at St Clements and the special stop at South Park on May 27th. 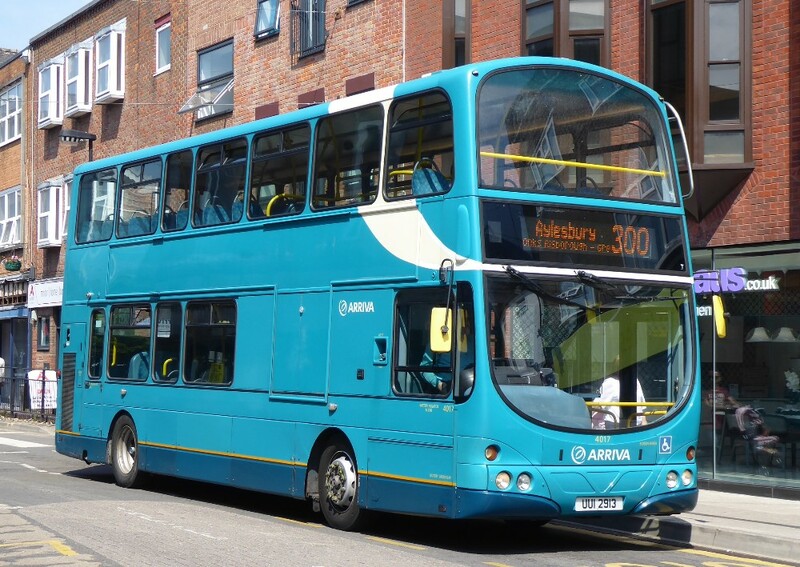 Also included is an Arriva 280 since buses westbound to the city also served this point. Stagecoach have announced a major change to the management of the company and talk about "Business Change". More details are revealed below. 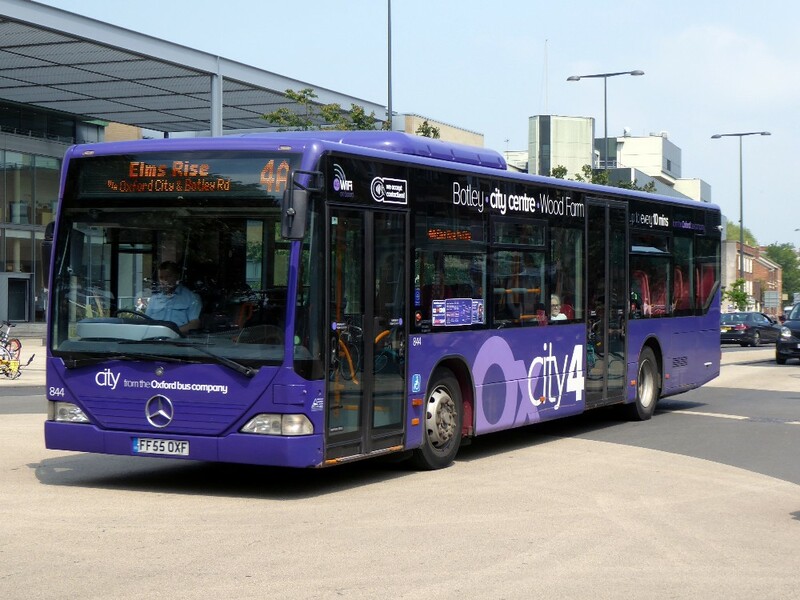 Reading Buses have won an accolade for their "back room team" and Carousel Buses have been very busy debranding many of the vehicles which have, until now, carried branding for various route such as Heathrow and Reading. Motorway traffic on the M40 was disrupted last week when one of the Oxford tube Astromegas suffered from a fire breaking out during a working to London. The coach concerned was 50281. Following my notes and pictures on times gone, I have received quite a number of pictures and stories from a number of readers which I will hope to use over the forthcoming issues. I am sure all of you will appreciate seeing these pictures but there are quite a large amount to get through. This is of course what helps to make the OCBP what it is, a record of our area past, present and future! 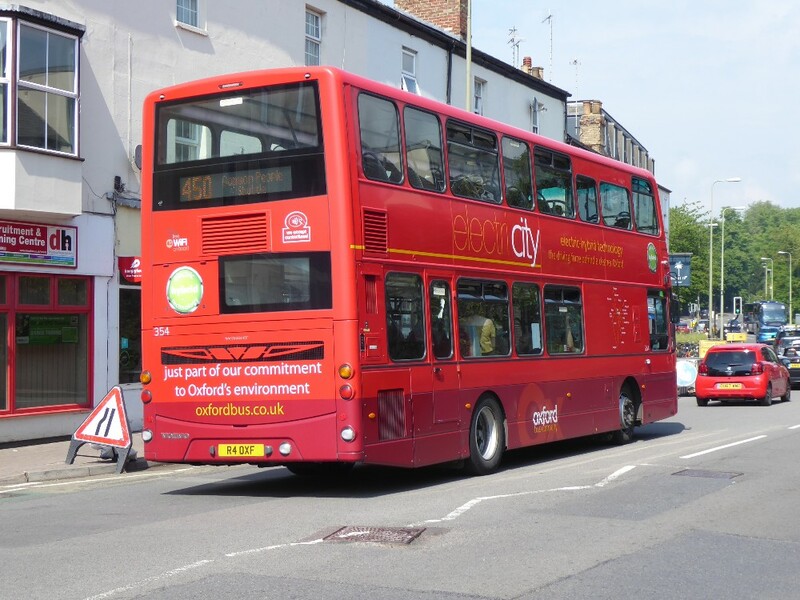 In last week's issue I mentioned the ex Abellio London E400s at Walters yard in Wheatley and Andrew Webb writes "The ex Abellio Enviro 400 vehicles at Walters are stored on behalf of the leasing company and are not part of the company fleet. I was on the recent Olympian trip there and had this confirmed by our driver." Thanks to Andrew for clearing up that matter. Stagecoach has created a Business Change team, to be led by Clare Burles as UK Bus Business Change Director effective June 1st. 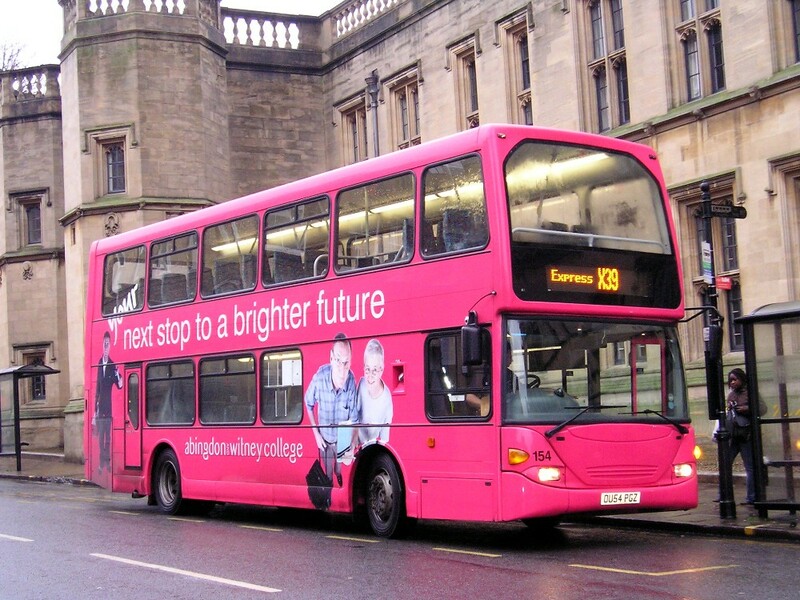 The team run is to be run by senior managers to “deliver a business change programme” within UK Bus. Ms Burles started her career in 2002 working for National Express-owned train operator Midland Mainline and then moved to Stagecoach’s East Midlands Trains where she became HR Director in 2011. 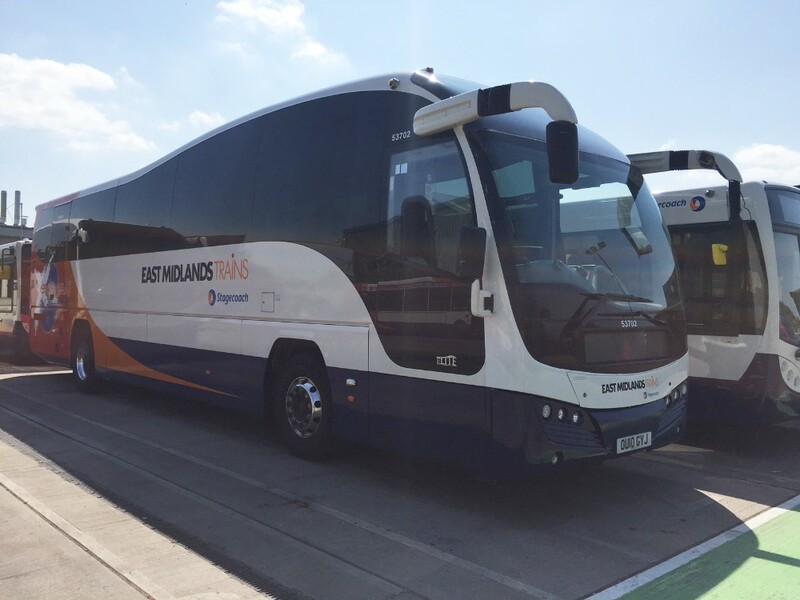 Stagecoach UK Bus MD for England and Wales, Mark Threapleton, says: ”Her experience within the rail industry will be hugely beneficial as we drive forward this initiative and look to build on what we have achieved so far." As a result a number of senior managers will have new roles, while one is leaving, leading to a change in MDs across the group. London Engineering Director Darren Roe and East Midlands MD Michelle Hargreaves move to lead roles in the Business Change team. Mr. Roe will be the programme lead for safety and engineering, while Ms. Hargreaves will lead on people, wellbeing, and employee engagement. The changes prompt ‘backfilling’ with Cumbria and North Lancashire MD Matthew Cranwell becoming East Midlands MD, from July. Matt is known to Oxford employees having spent time as Operations Manager. North Scotland MD Mark Whitelocks becomes Cumbria and North Lancashire MD from mid-June with Stagecoach South Engineering Director Chris Remnant becomes London’s Engineering Director. Also, after 10 years with the company, Stagecoach Midlands MD Steve Burd, “is to move on from the business” in September. Stagecoach says it “will announce in due course” newly-appointed MDs for its businesses in the Midlands, North Scotland, South East and Oxfordshire. UK Bus Engineering Director Sam Greer remains Interim MD at West Scotland, following the departure of Tom Bridge in April. Michelle Hargreaves started her career with Stagecoach in 1987 as a Cash Clerk, and has become a well respected and influential leader. Prior to being appointed MD of Stagecoach East Midlands in 2013 she was MD of Stagecoach South West. The ‘back room’ engineering team at Reading Buses’ Great Knollys Street depot has earned the status of Founder Members of the DVSA’s Earned Recognition scheme. 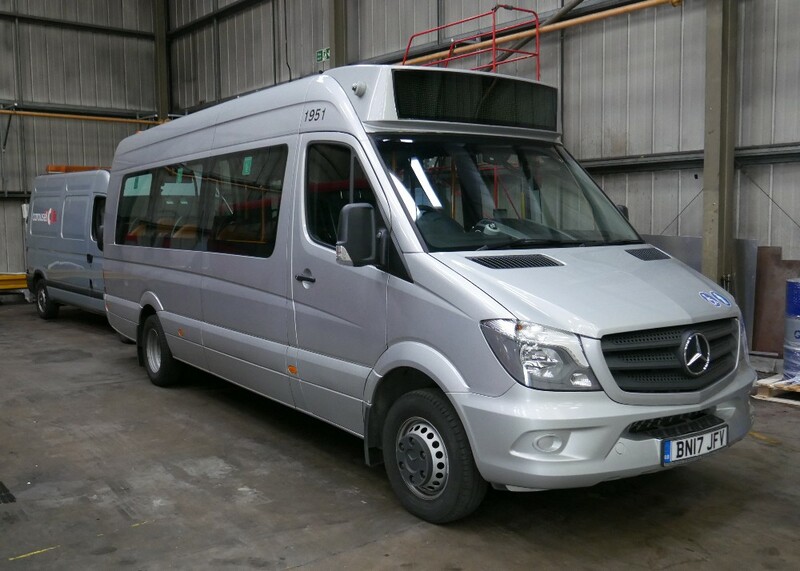 Similarly, the operator was recognised by the Confederation of Passenger Transport (CPT) Workshop Accreditation scheme, as well as personal recognition for six staff members who have been trained as vehicle inspectors. 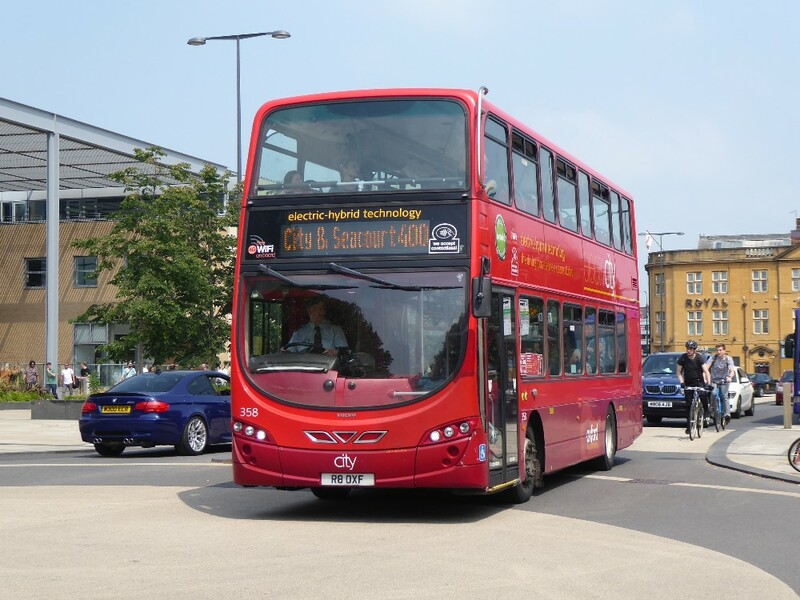 This shows that Reading Buses is among the very best of the bus industry for engineering systems, safety and reliability. The engineering department at Great Knollys Street was visited by two senior officials, Roger Dent – Earned Recognition Product Specialist at DVSA – and John Taylor – Operational Technical Executive at CPT UK – as part of an event to mark the company’s success in these schemes. 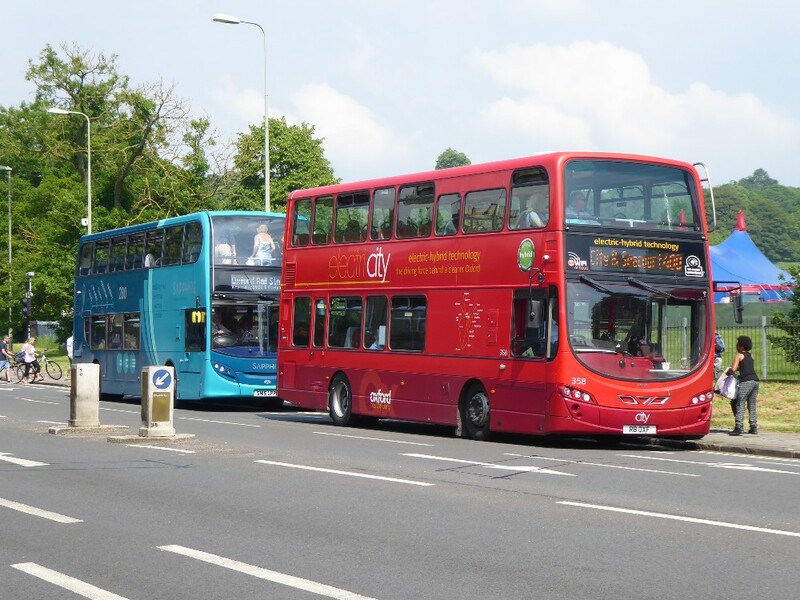 The Earned Recognition scheme is run by the government regulator and recognises the very best bus and lorry operators for safety and compliance standards. 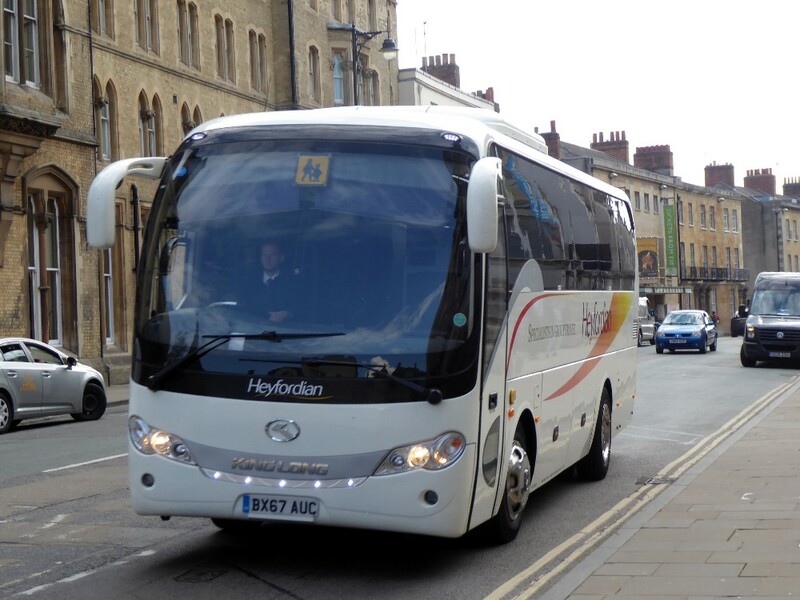 Coach and bus operators travelling to the historic market town of Oundle via the A427 face a detour when Northamptonshire County Council (NCC) slaps a three-tonne limit on the key access route, during the next eight weeks. The council says the condition of seven of the bridge’s 13 arches over the River Nene are deteriorating, first identified in 2014. NCC does not have the £750,000 for repairs to the 1912-built bridge. The section of the A427 links Oundle with the A605 trunk road to Peterborough and westwards to the A14. NCCC expects the alternative route to be via Barnwell to the A605. 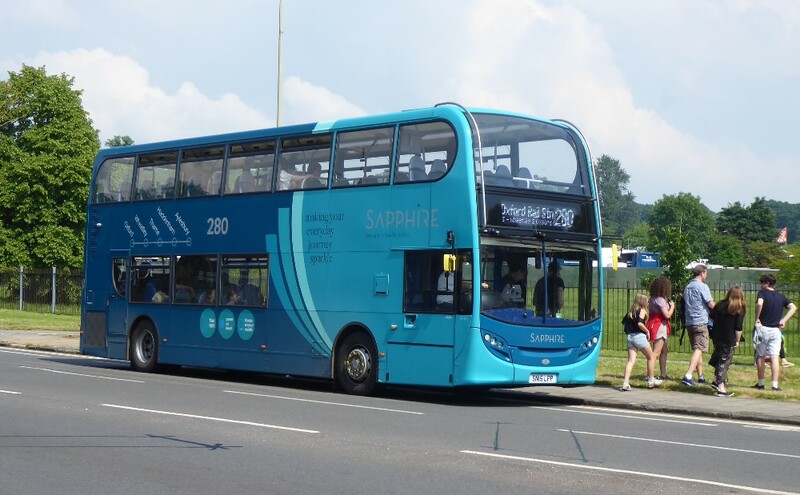 Stagecoach Midlands, which runs half-hourly buses between Oundle and Peterborough, would have preferred an exemption for local buses. 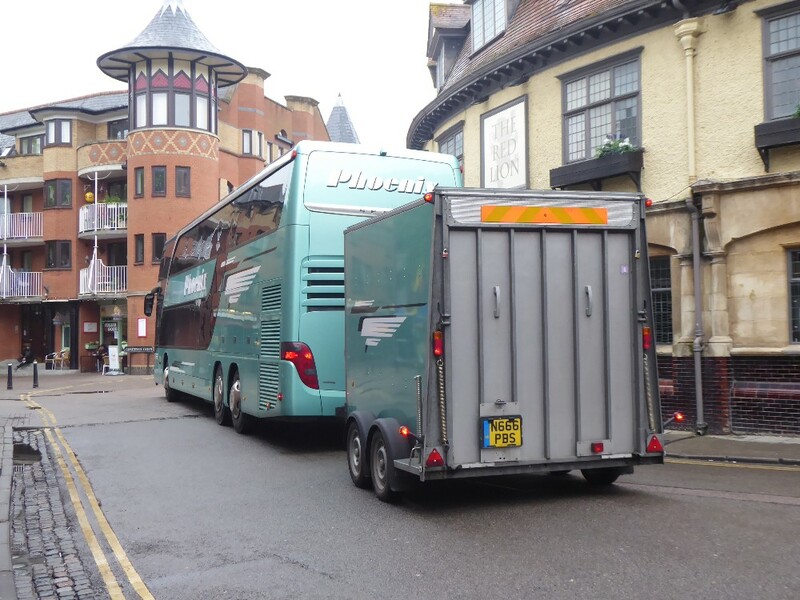 However the council tells routeone that because the weight limit is due to structural issues, no dispensation will be given. 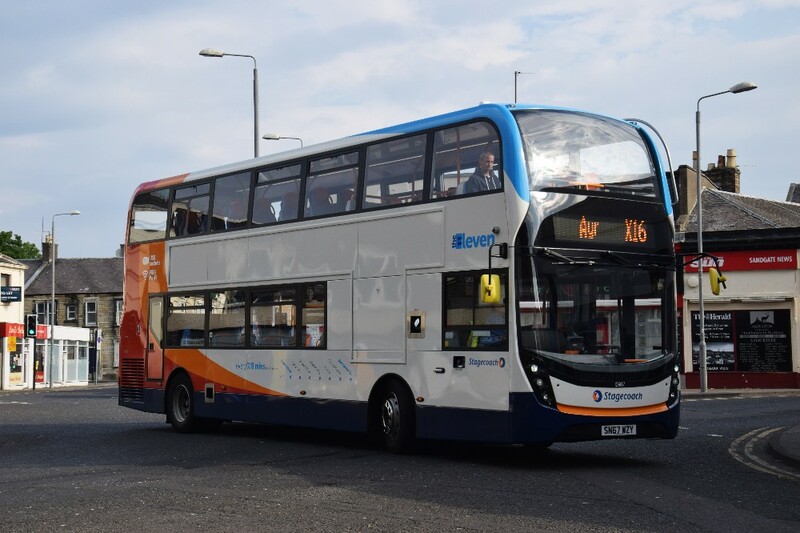 Stagecoach says closure of the bridge to buses will impact its operating costs as it will need to increase the route’s peak vehicle requirement (PVR). 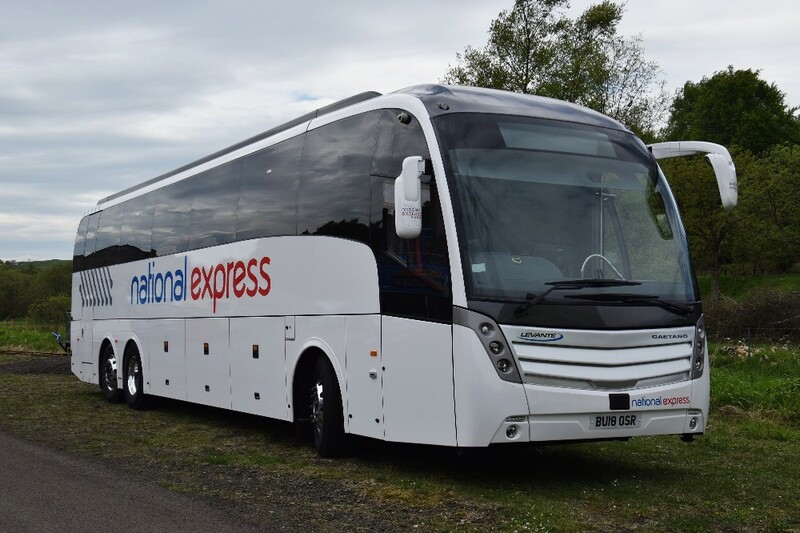 The transport group’s Scottish Citylink business, which is a joint venture with international transport group ComfortDelGro, was awarded the Top Express Operation of the Year accolade at the 10th annual event held in Blackpool on Thursday, May 10th. 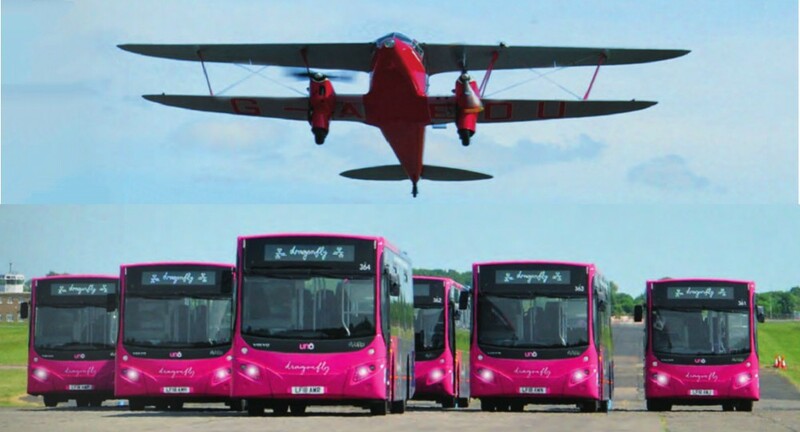 The company won for its Service 900 and Citylink Air services that make up the Scottish Citylink Central Belt Express network of services operating across Central Scotland. 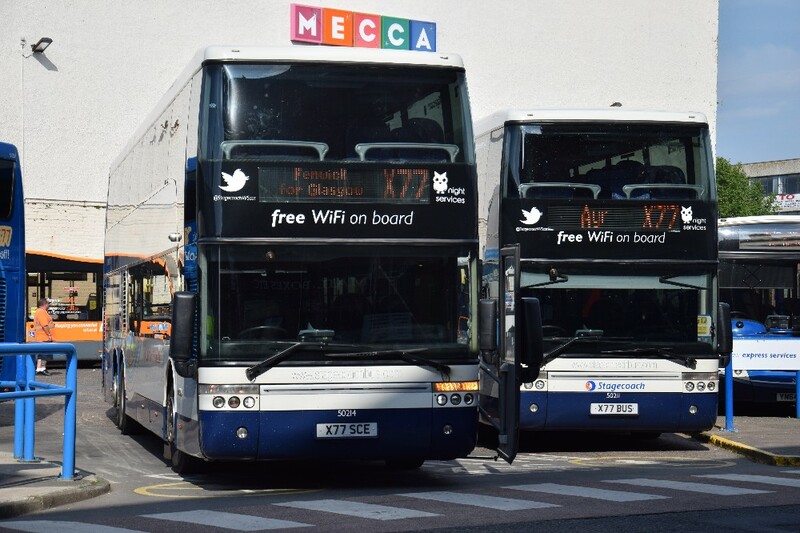 The service connects the main hubs of Glasgow, Edinburgh and Edinburgh Airport, 24 hours a day, 7 days a week, up to every 15 minutes and hourly through the night. 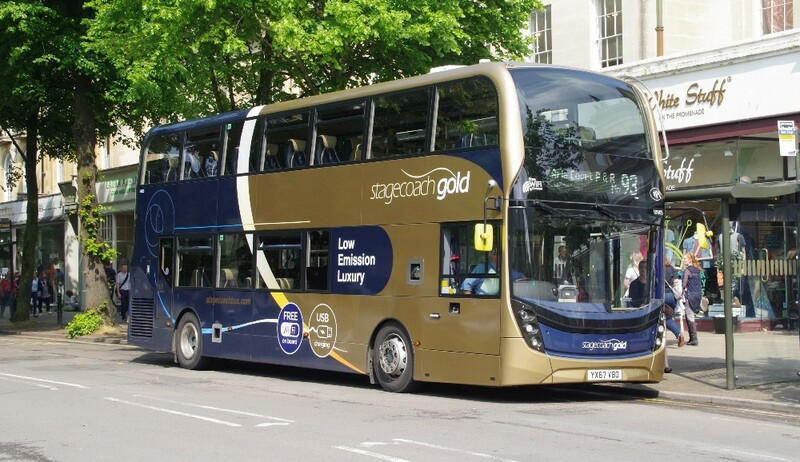 Stagecoach South West picked up the silver award in the same category for its Falcon service. Scottish Citylink Supervisor, Jim Orr won the gold award in the Unsung Heroes category. Jim is the stance dispatch controller for Scottish Citylink's flagship service, the 24/7 900 service and has worked for the company and its predecessors since February 2004. Jim is responsible for making sure the 900 service runs to its timetable, which given the length of route and the unpredictable traffic and congestion issues it faces is not an easy task. His focus on both Customer Service and ensuring the service operates as planned is second to none. Also from Scottish Citylink, Peter Knight came top in the Young Coach Industry Professional category taking home his gold award. Peter is the Operations Director of the Scottish Citylink business, having joined nearly two years ago from megabus.com Italy. He has worked for Stagecoach for seven years in a variety of roles across its bus companies after joining Stagecoach’s Graduate scheme in 2010. 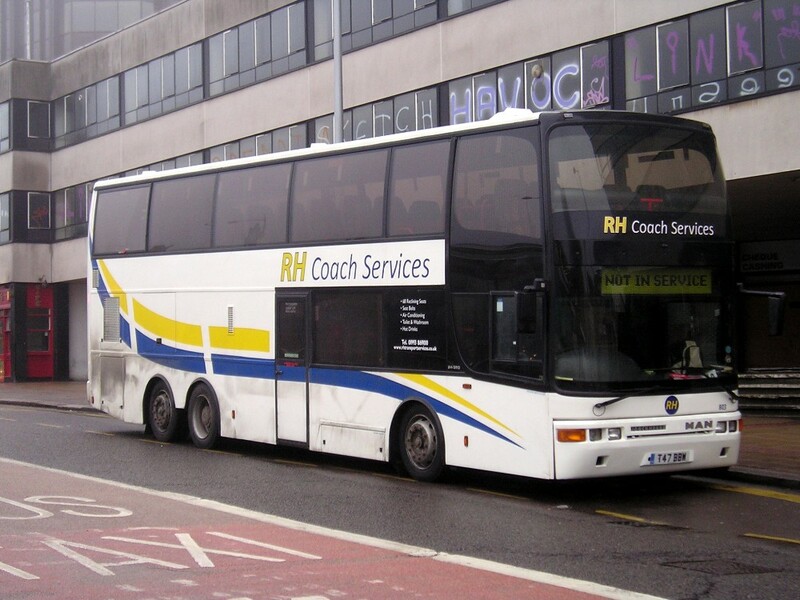 He currently leads a team of 150 staff who deliver a national coach network in Scotland under the Citylink, Citylink Gold and megabus.com brands. megabus.com picked up the silver award in the Coach Marketing Award Category for the campaign to promote the launch of ten new coaches earlier in the year. The team invited customers to name the new coaches with winning suggestions including Mega ‘n Harry and Al Bus Dumbledore. 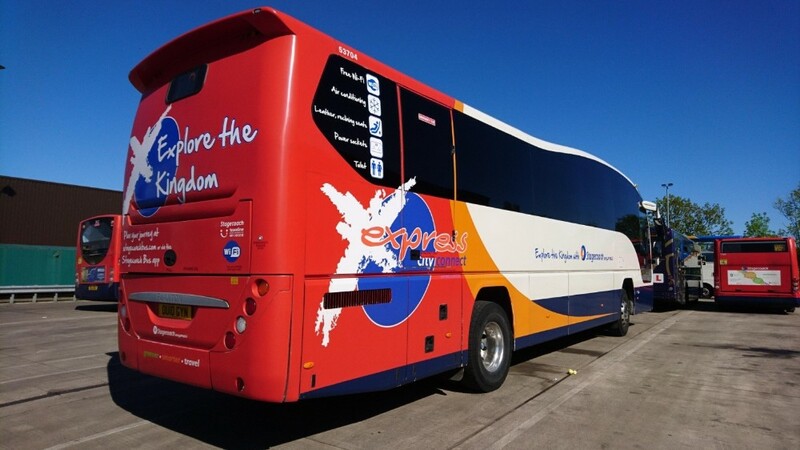 Stagecoach East Scotland picked up bronze in the same category for their Express City Connect campaign. Stagecoach East Scotland scooped the silver award in the Making Coaches a Better Choice category for its Express City Connect service and Scottish Citylink rounded off their successful evening taking the silver award in the Innovation Award category for the roll out of contactless payments on its services. The UK Coach Awards recognises the dedication and professionalism of individuals and operators across the UK coach industry, with awards covering a number categories. At a pre-launch photo shoot on May 18th, those attending had a first look at Uno Buses’ newest rebranded route, Dragonfly. 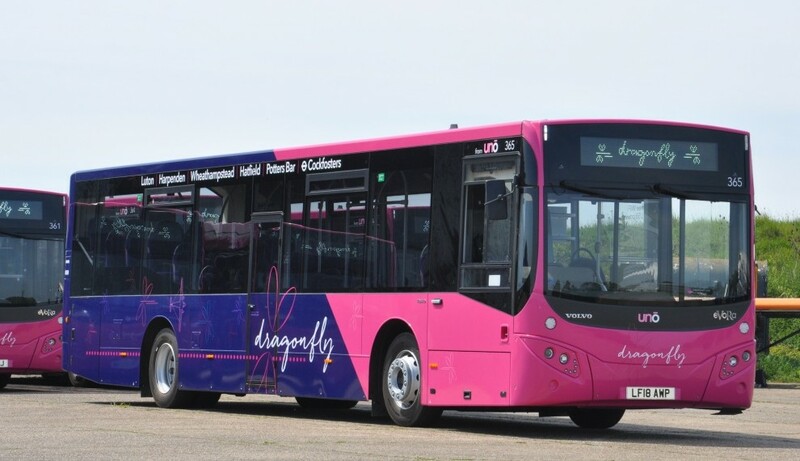 Previously the 610 route, renamed route "Dragonfly" will enjoy six new Volvo B8RLE's with MCV Evoras bodywork, which go into service on May 29th. 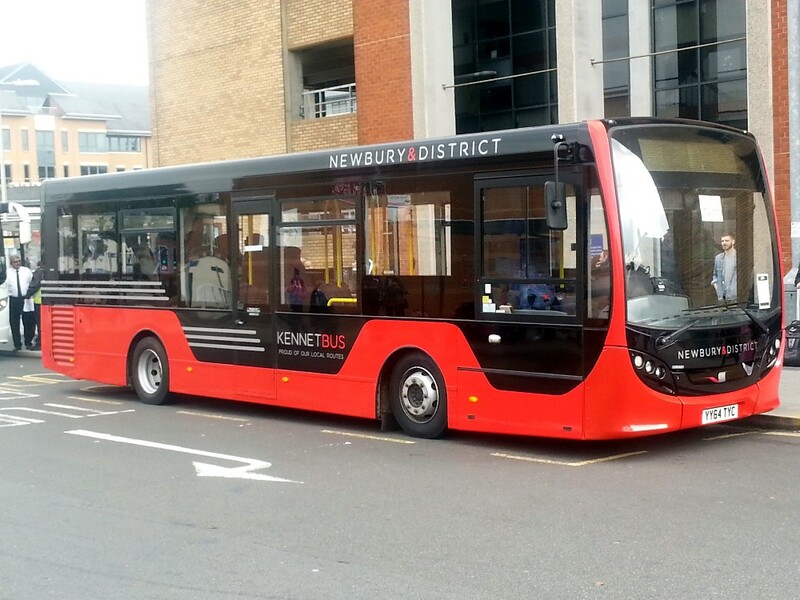 “We went towards the heavier weight chassis and higher capacity buses,” says Mr. Thorpe. One, that is featured, tells the history of the de Havilland Dragonfly Rapide, which made an appearance for the special photo call. 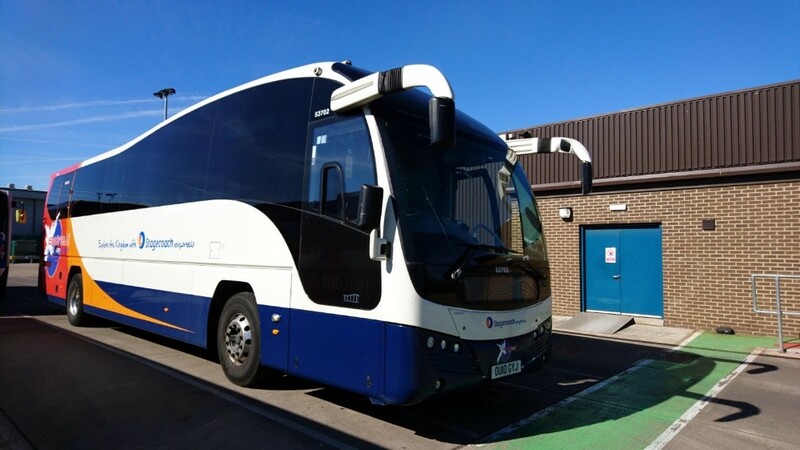 The company has confirmed that it has added five Volvo B9R/Plaxton Elite coaches to its fleet for a new rail contract linking Bedford and Wellingborough stations. 53702/03/04/05/08 have transferred from Stagecoach East Scotland at Dunfermline. East Midlands Trains branding has been applied. The four Volvo B12B coaches here, 54058/59/60/74, are for Rail Link work between Bedford and Wellingborough and are allocated to Northampton. This is as a result of the new timetables for services passing under London. 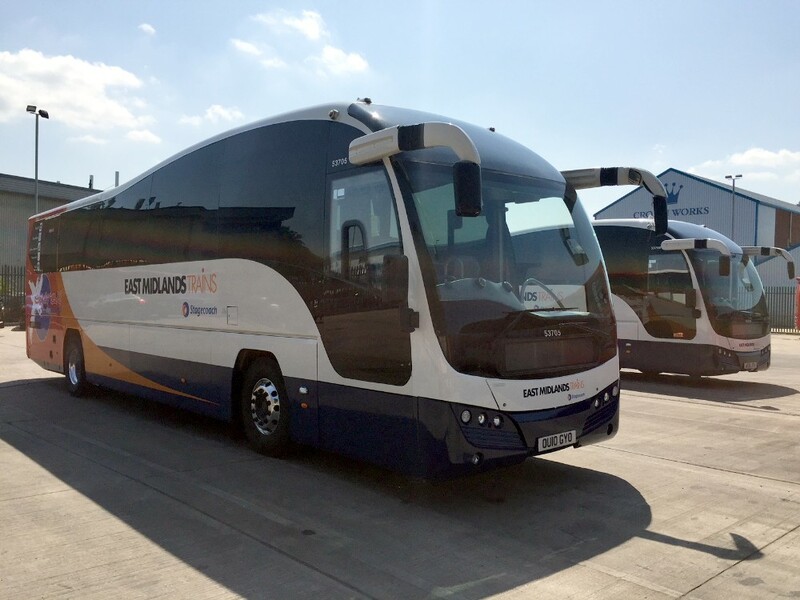 I am delighted to publish pictures provided by Patrick Stringer, Commercial Director, Stagecoach Midlands showing the before an after of these coaches following arrival at Midlands. Now why is this of special interest to our readers? 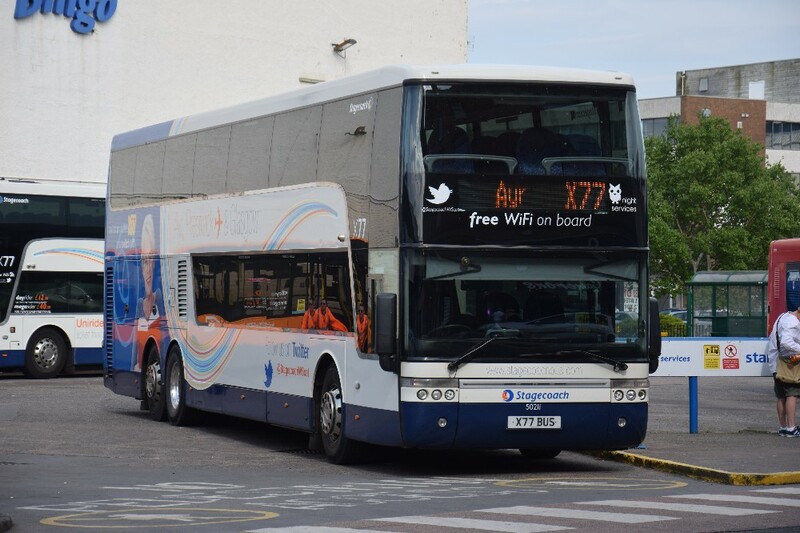 Well, many of you will recognise the fleet number which belong to four coaches new to Stagecoach Oxford in 2010 for the National Express 737 route to Stansted, then worked by Oxford depot. As they say "what goes around comes around" !!!! Brand new Plaxton Elite 53704 in The Eden Bus Station, High Wycombe on July 23rd 2010. Picture by Gavin Francis. 53702 and 53704 on arrival from the north. 53703 and 53705 after rebranding for the new duties. The four above pictures from Patrick Stringer. Patrick explains "The complete re-jig of the Thameslink timetable means that southbound East Midlands Trains services in the morning peak, and northbound in the evening peak, are no longer able to stop at Bedford due to pathing constraints. 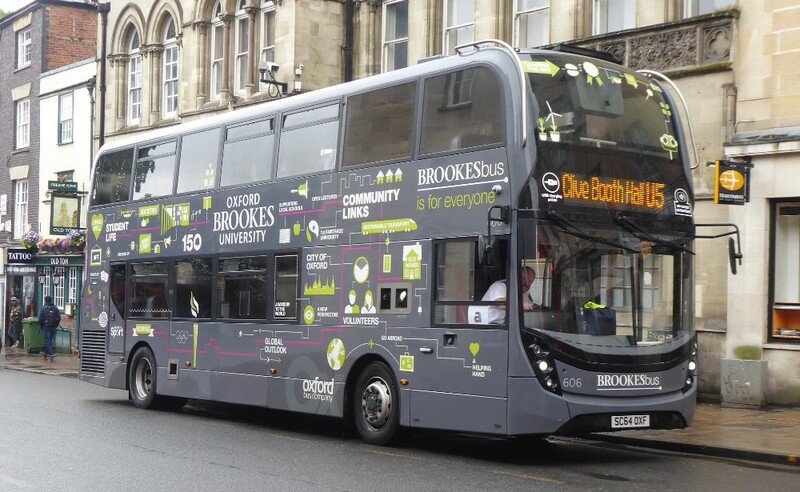 That means that anyone commuting to Bedford from the north in the peak would have no alternative travel option, therefore we have been contracted to run a replacement coach service on EMT's behalf; there are 6 southbound journeys in the morning and 6 northbound journeys in the evening. " 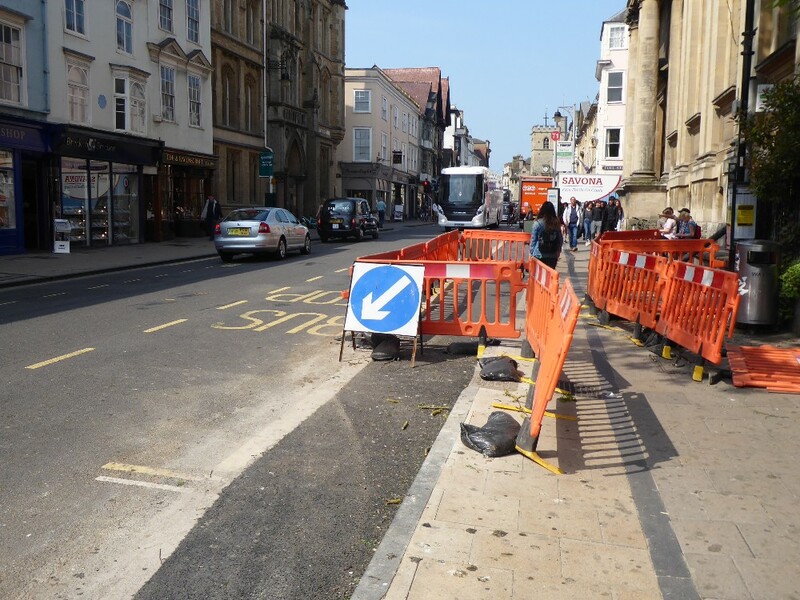 Work on correcting the road layout in the High Street continues which it is hoped will make life easier for the traffic. Pictures taken on May 21st by Gavin Francis. Number three shows the amazing bus stop layout in a "narrow" city street. Several readers have provided pictures of historic interest which I will be posting over the next few weeks. 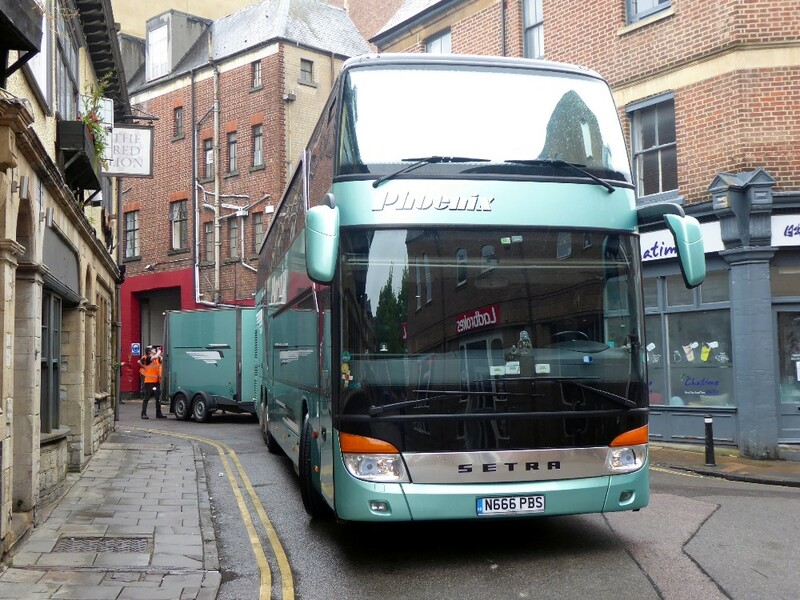 Thames Travel's 154 OU54PGZ with an X39 working from St Aldates by Simon Caygill. 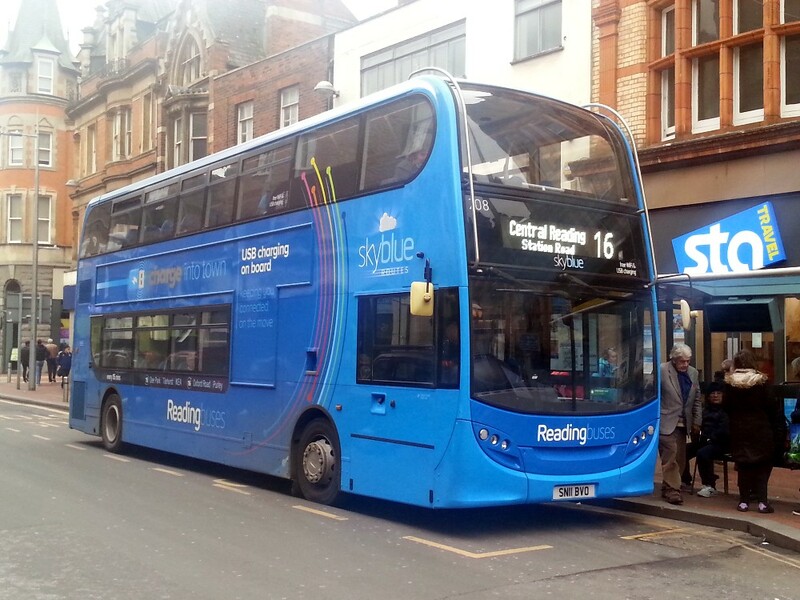 Reading's Leyland Titan 15 E915DRD seen in The Butts Reading by Simon Caygill. 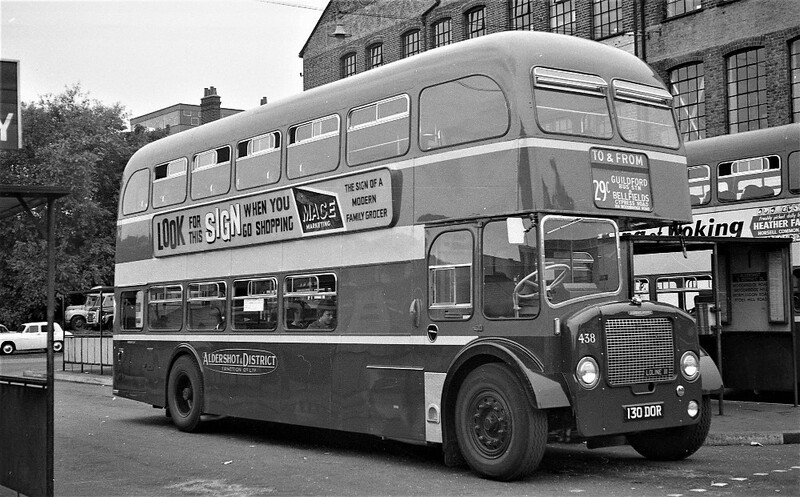 RH sadly no more operated this Oxford tube M A N Jonckheere T47BBW which is seen in Reading by Simon Caygill. 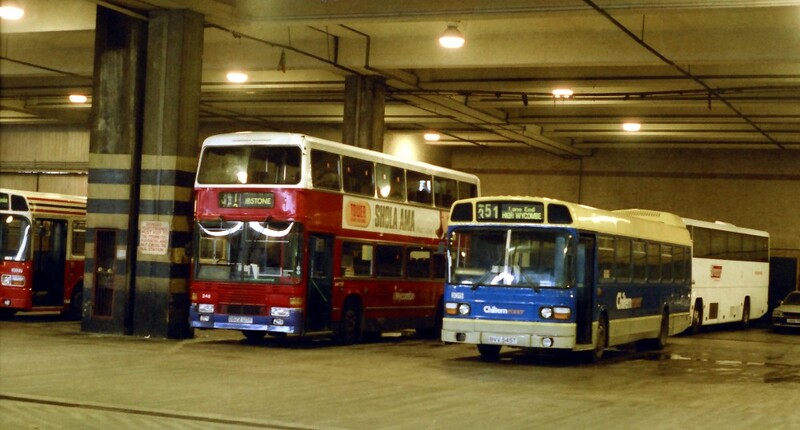 The old Newlands bus station in High Wycombe with Wycombe bus ECW Olympian coach 240 and LCNW Chiltern Rover 3015 r 351 circa 1985 by Tony Bungay. 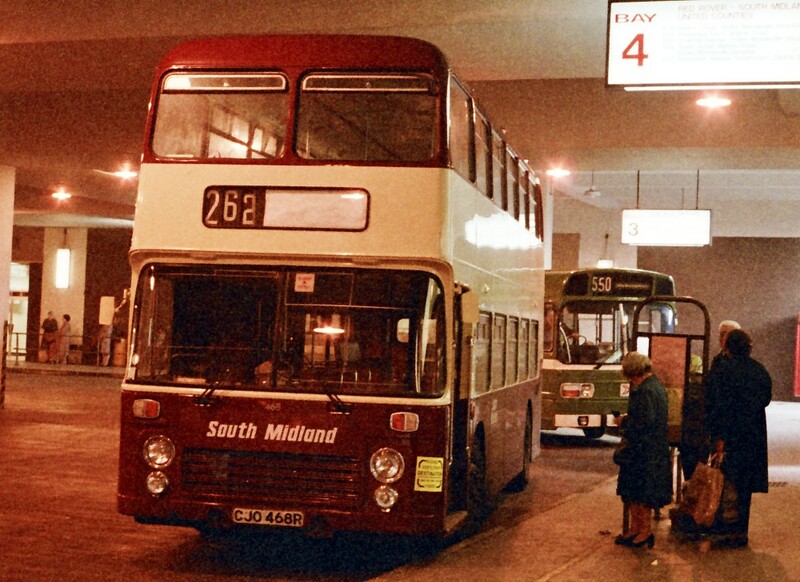 South Midland's VRT 468 CJO468R working the town service 262 and seen in Aylesbury Bus Stn circa 1982 by Tony Bungay. Not surprisingly Aylesbury and High Wycombe bus stations bore a striking resemblence. 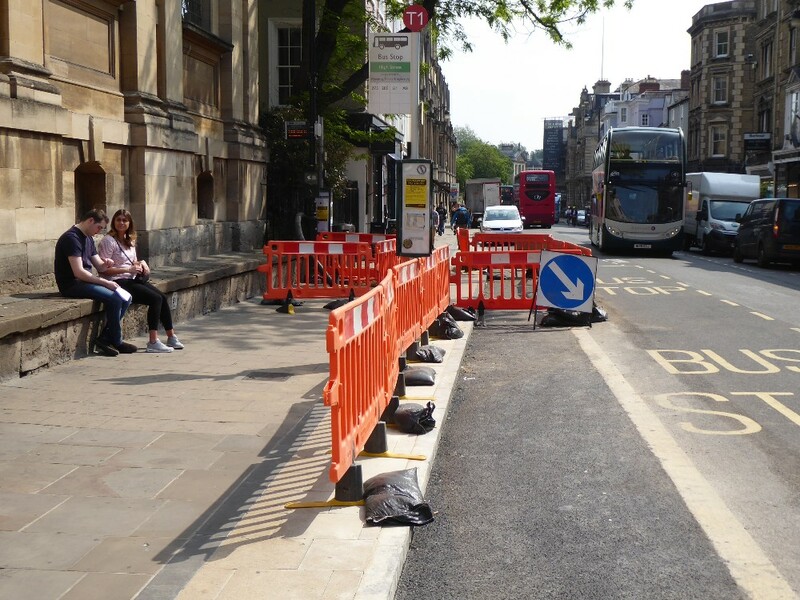 The next meeting will be on Tuesday 12 June at 7.15 p.m. at The Tree Hotel, Church Way, Iffley, Oxford OX4 4EY, when Graham Low will talk about "The Revolutionary Bristol Lodekka and its Imitators". A few pictures of these buses are shown below. As usual, meals are available in the hotel before the meeting. Please note the change of date of this meeting. Julian plans to announce a trip for us to a local operator very soon. And the alternatives at the time! Aldershot & District Loline III. 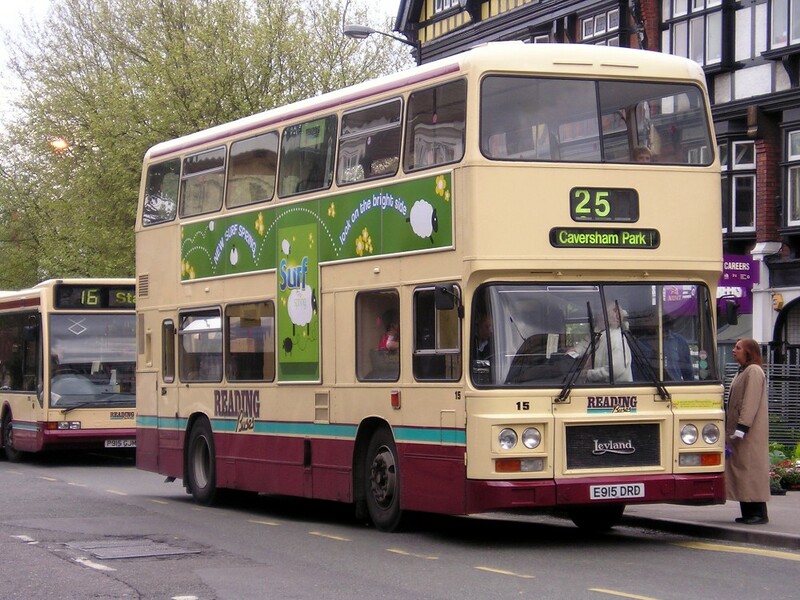 East Midland Albion Lowlander 167NVO. 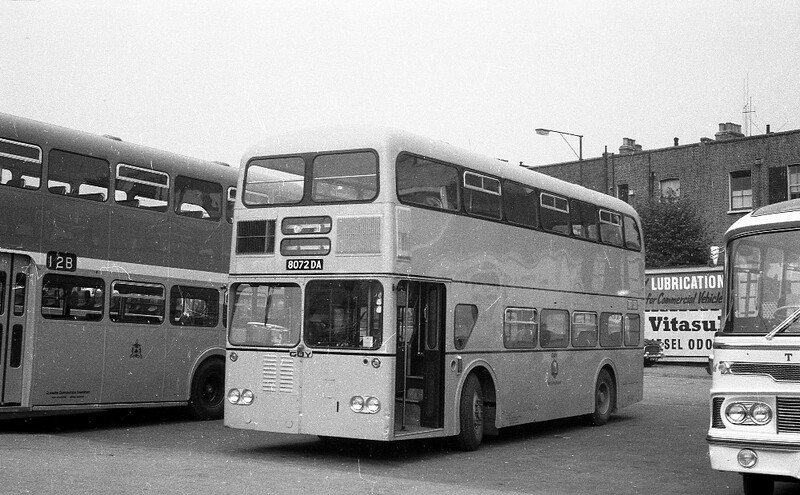 An AEC Bridgemaster 2B3RA142 - Park Royal with Smith Barrhead 29EGD. 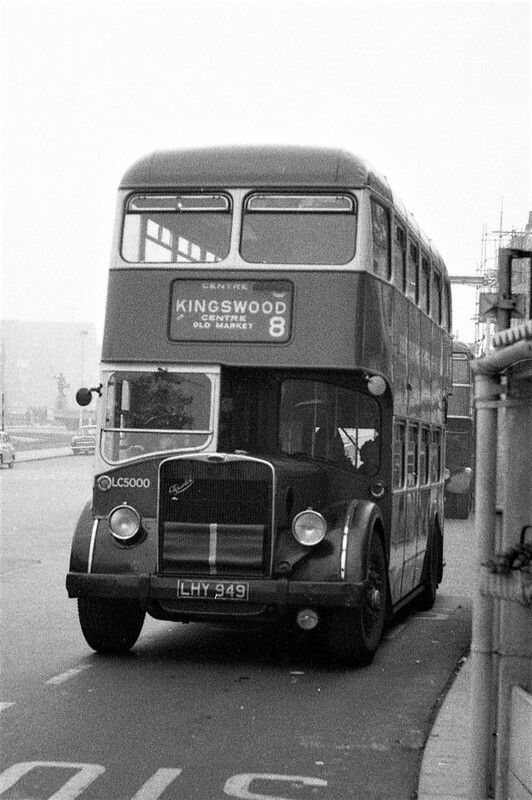 An AEC Renown with Wolverhampton HJW183D which was completed by Metro-Cammell - having left Weymann in February 1966 as a shell following the fire at the works. 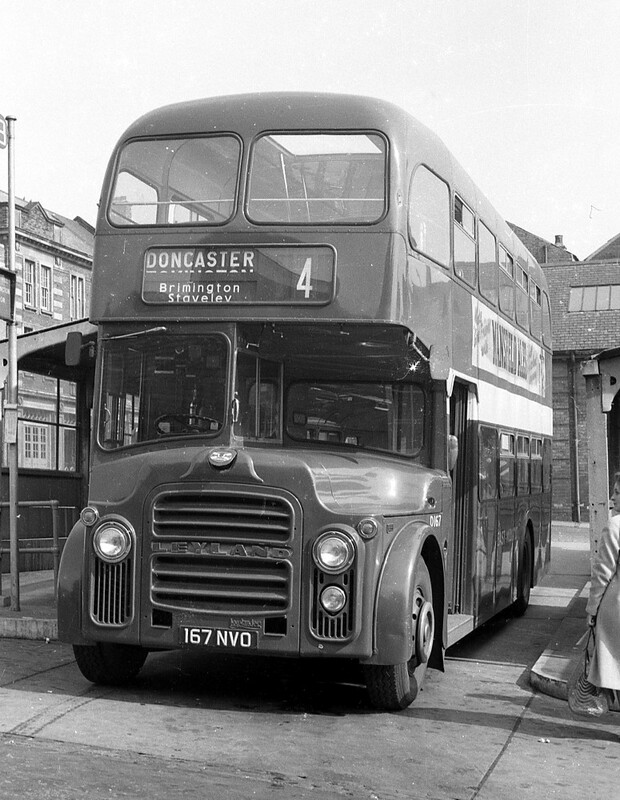 Guy Wulfrunian 8072DA, sadly not the most successful low height bus. 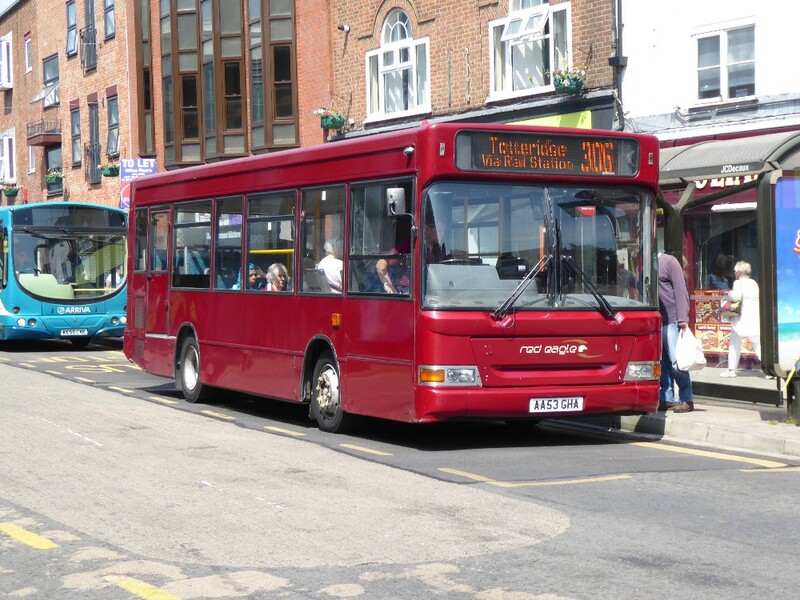 The much heralded mini buses in Hemel Hempstead are to cease operations from July 1st. This is according to LOTS. One wonders if minibuses work in today's modern world? 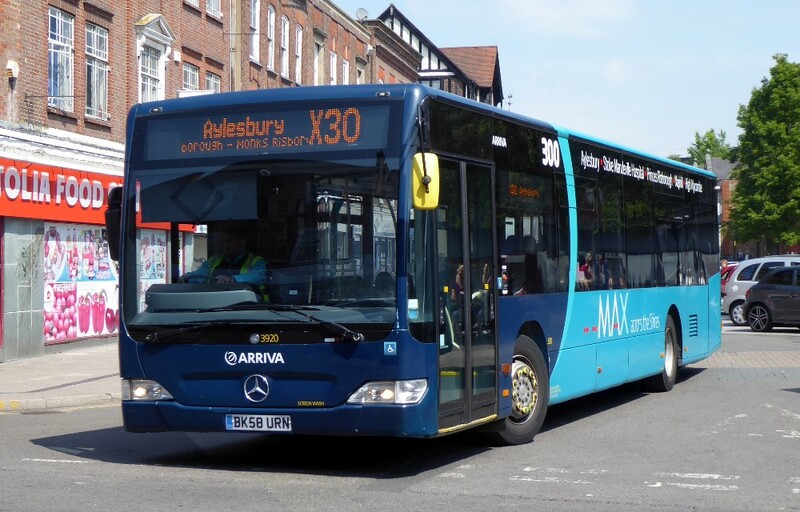 Citaro 3920 from Aylesbury working in to High Wycombe as a 300 will return as an X30 seen on May 22nd by Gavin Francis. Heading in the opposite direction we see 4017 which was LJ51DFO originally in London as VLW9 seen on May 22nd by Gavin Francis. Inbound on the X30 which comes direct from Princes Risborough we see 6000 KL52CWN which was used on the 142 out of Garston depot painted in London red livery. In preparation for the upcoming changes in June it is noted that unbranded eff. May 26th are 401/403/405/406/409/873/874/875/221/222. 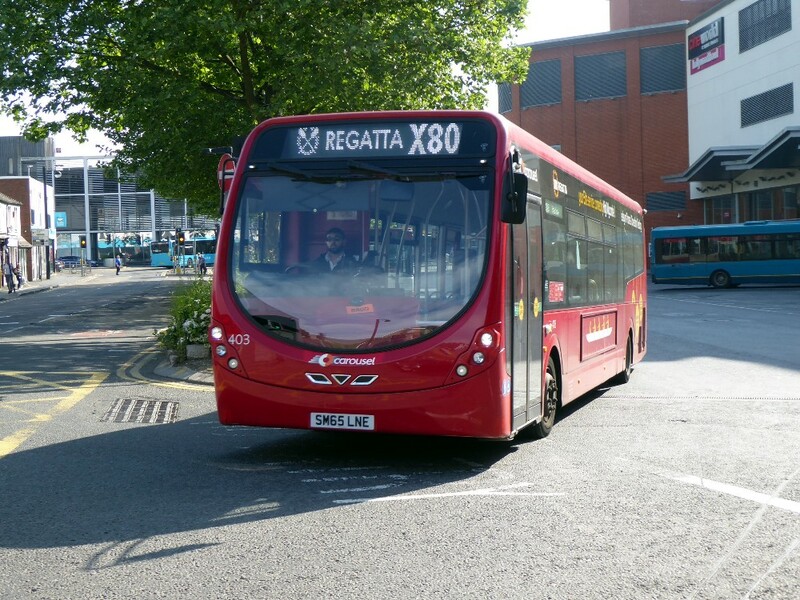 403 is seen on an X80 REGATTA working when in full livery. By May 26th this branding had been removed. Seen on May 22nd by Gavin Francis. 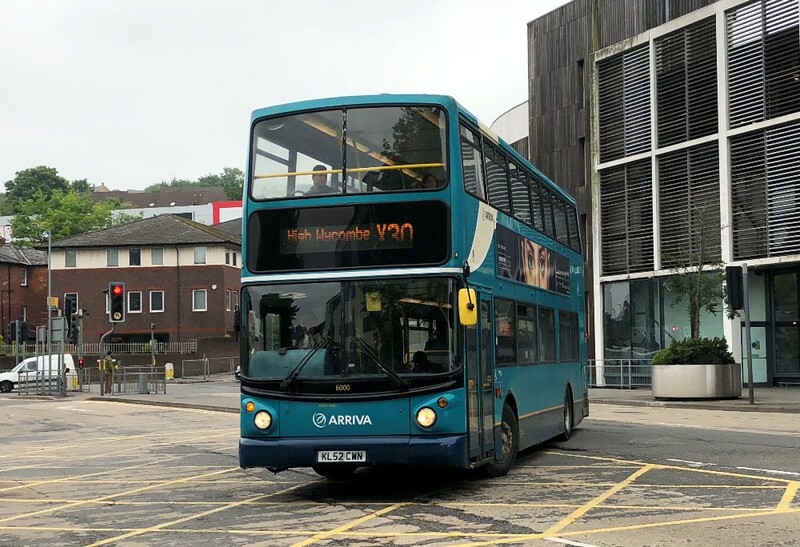 Still working to Heathrow on the A40, 406 is seen in High Wycombe on May 22nd by Gavin Francis. By this date all branding had been removed. 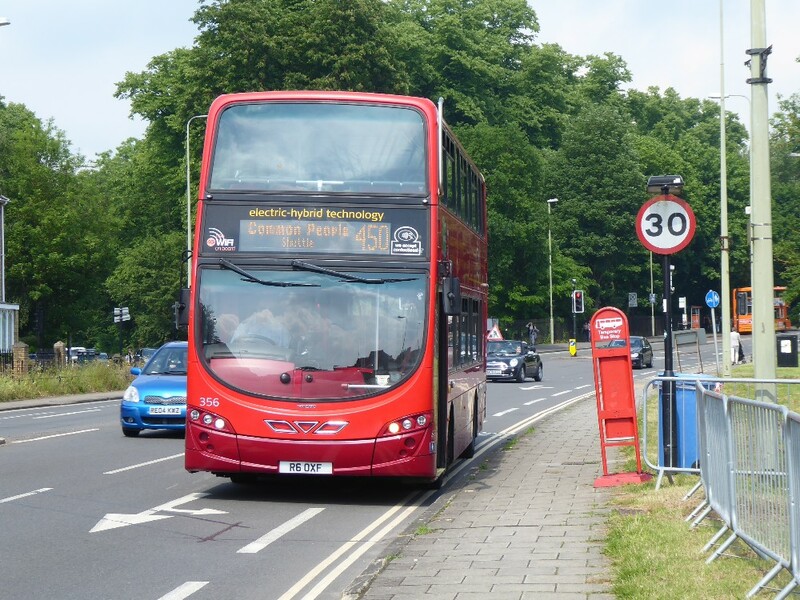 StreetLite 409 works the PR1 to Totteridge in High Wycombe on May 22nd by Gavin Francis. 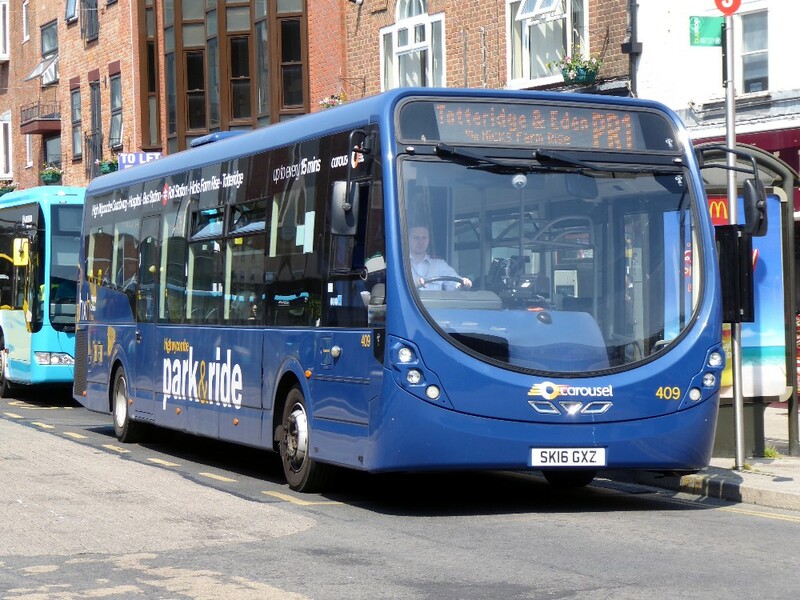 By the 26th all inappropriate branding had been removed in preparation for the PR1 to revert to a Park & Ride service only. 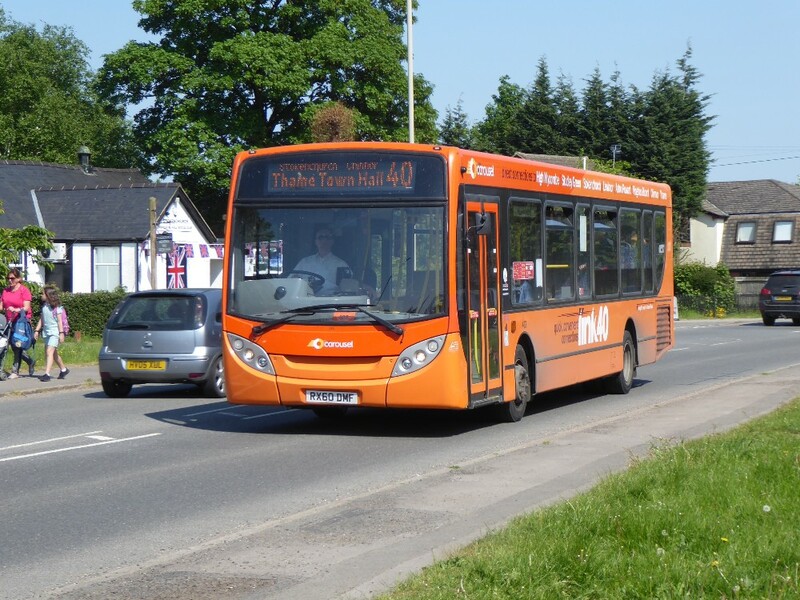 Not for the first time in recent months has branding been changed with 423 seen above gaining Link 40 decals with sister 424 and seen in Stokenchurch by Gavin Francis on May 22nd. 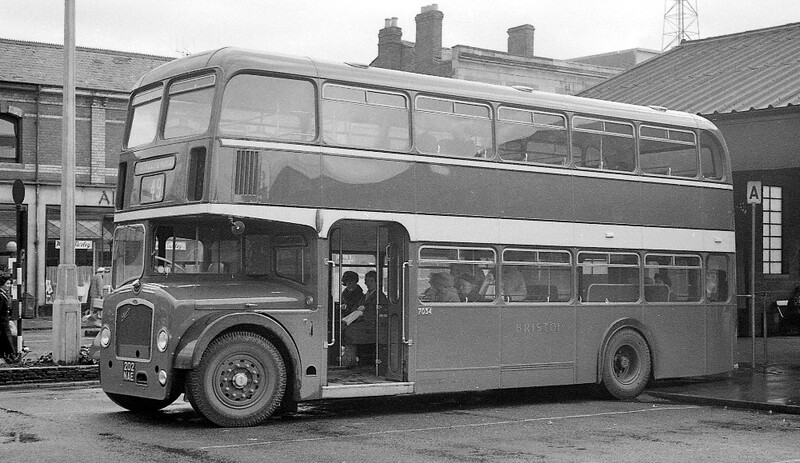 Not the picture I would have wished as it looks rather good with its Staff Shuttle SS1 destinations, 1951 BN17JFV at the depot on May 26th by Malcolm Crowe. A rather a dinky little coach, reminiscent of the Bedford Duple "Hovis Loaf" of the '50s and '60s, BX67AUC, a King Long, is seen in Oxford at speed on May 21st by Gavin Francis. An attractive use of "self advertising space" is seen displayed by SH199 BN64FKL with a new super rear for Stansted on May 21st by Gavin Francis. 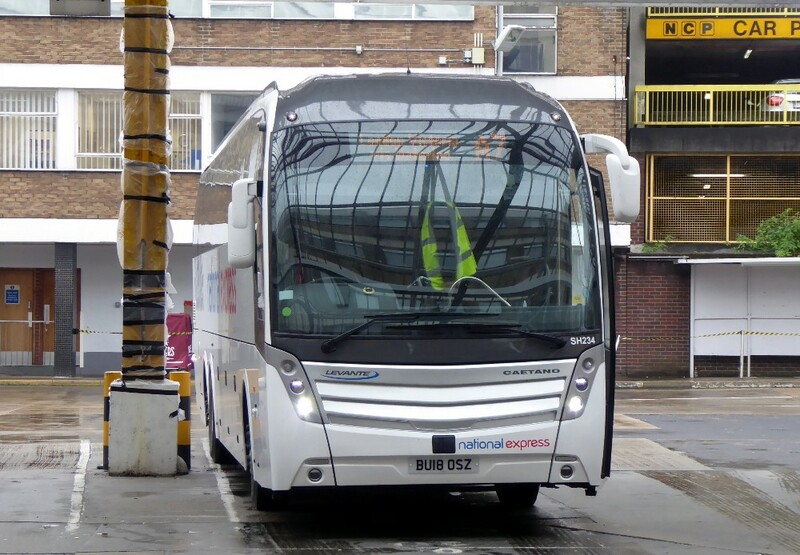 One of the latest batches of tri-axle Levantes in use with National Express Stansted, SH234 BU18OSZ is seen in VCS on May 21st by Gavin Francis. Bruce's Coaches also have one of this batch, BU18OSR seen here when new at the Lathalmond event by Gordon Scott. 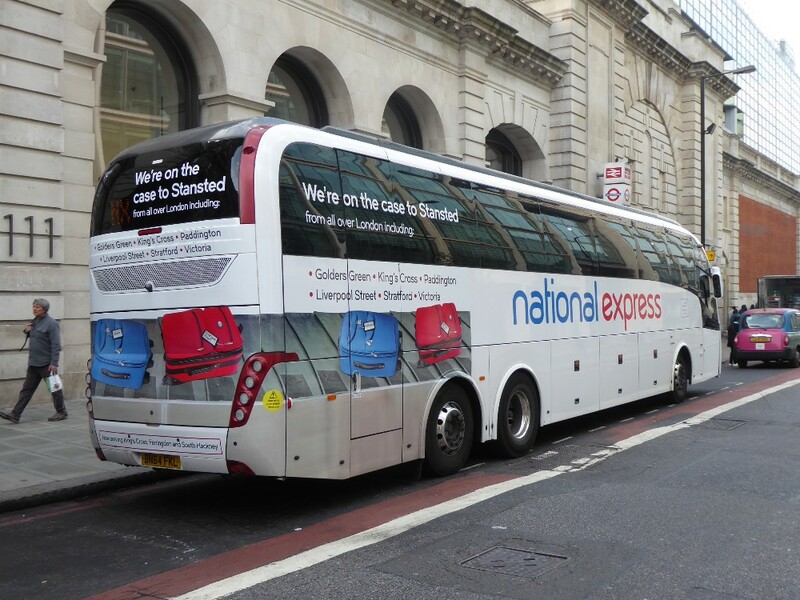 This coach may be seen on the 539 service through Oxford. Withdrawn from service with South Gloucester Bus & Coachand now for disposal are Caetano Levantes SG 01/03/05/06. and seen on its way to Abingdon by Gavin Francis on May 26th. 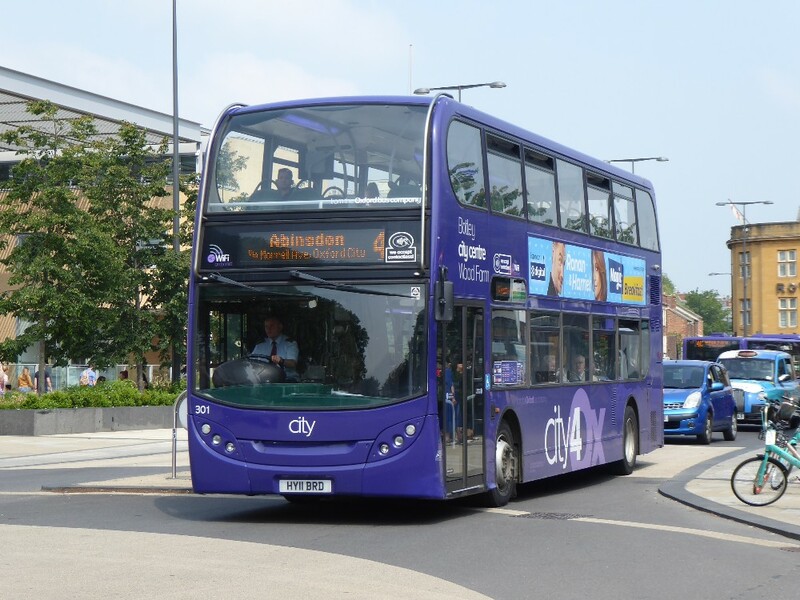 seen in the same location, Frideswide Square, Citaro 844 with a 4A working on May 26th by Gavin Francis. 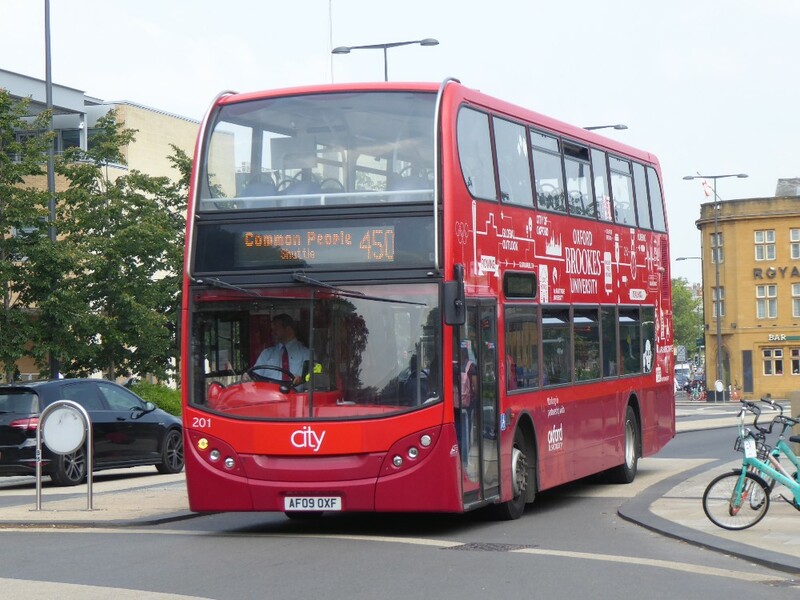 Wright's 358 on a 400 Park & Ride working out of Frideswide Square on May 26th by Gavin Francis. 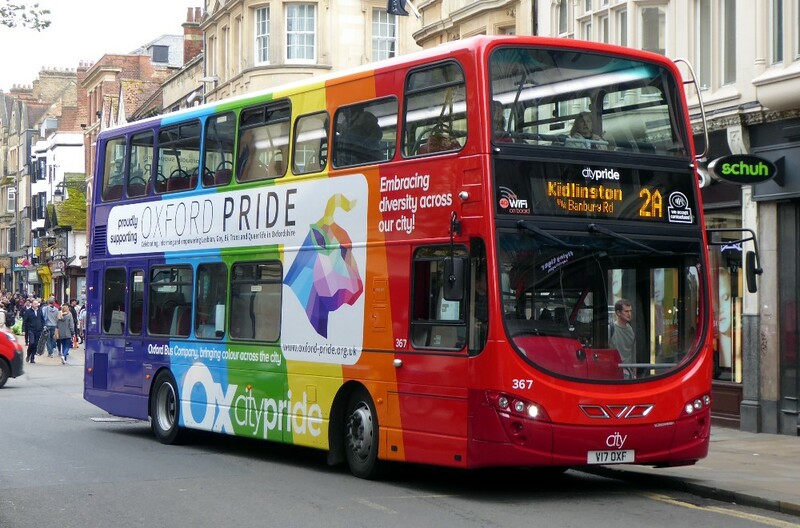 OXFORD PRIDE liveried 367 seen with a 2A working on May 25th by Gavin Francis. With an unusual destination of Clive Booth Hall 610 works a U5 service on May 25th by Gavin Francis. 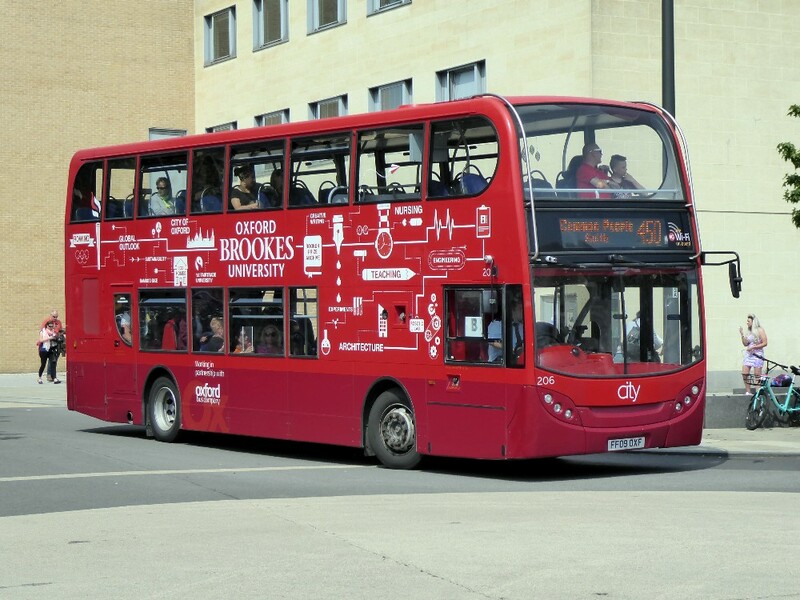 Recently renumbered, sightseeing 2907 is seen in Frideswide Square on May 26th by Gavin Francis. Red Eagle's AA53GHA which came, not unsurprisingly from the now defunct GHA and seen working the 306 on May 22nd by Gavin Francis. This route is run via very narrow roads which demands a small bus. E400 208 SN11BVO in Sky Blue livery for route 16 seen on February 18th by Simon Caygill. 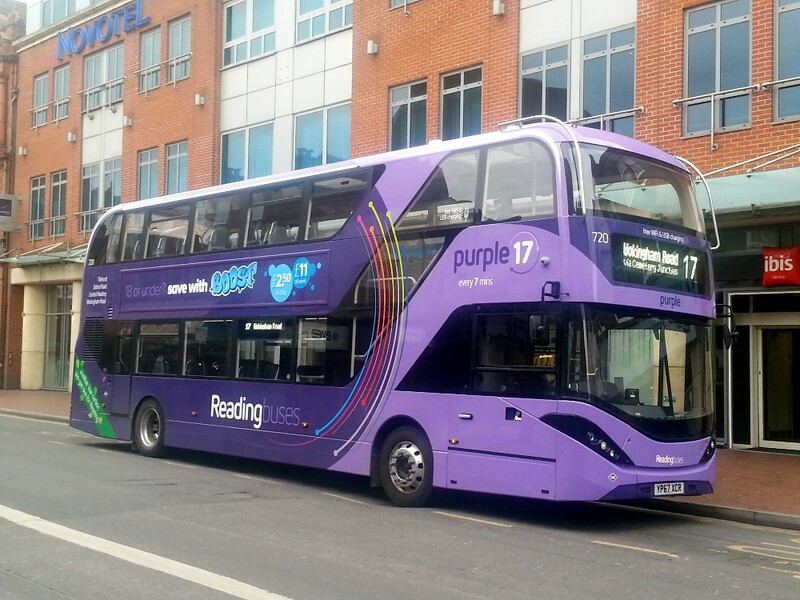 City 720 YY67XCR branded for Purple route 17 and seen on February 18th by Simon Caygill. 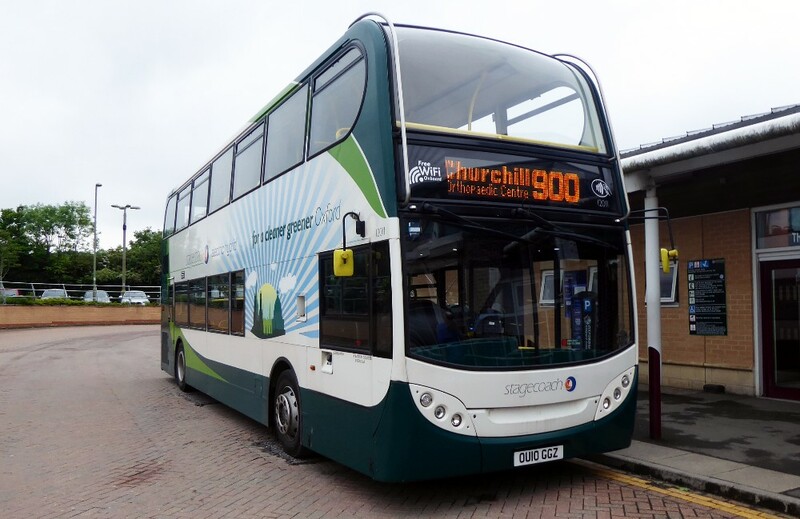 Hybrid 12011 works the 900 at Thornhill being a most unusual bus on this route seen by Gavin Francis - May 25th. A really crisp picture of a Gold on the S9 to Wantage as 10783 heads west out of Frideswide Square on May 26th by Gavin Francis. 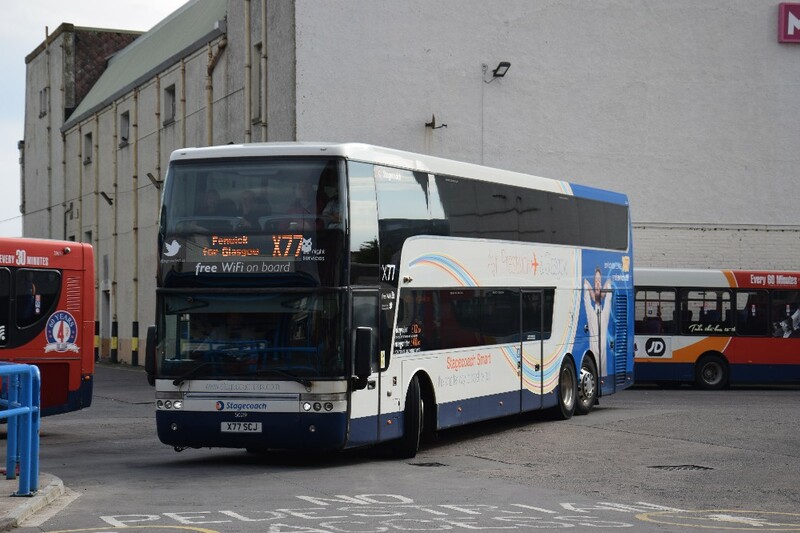 Gordon Scott has provided some interesting pictures of the ex Oxford tube coaches which moved north to Ayr and Kilmarnock when the current fleet at Oxford was delivered. 50211 with an X77 working in AYR Bus Stn on May 26th by Gordon Scott. 50219 with an X77 working in AYR Bus Stn on May 26th by Gordon Scott. 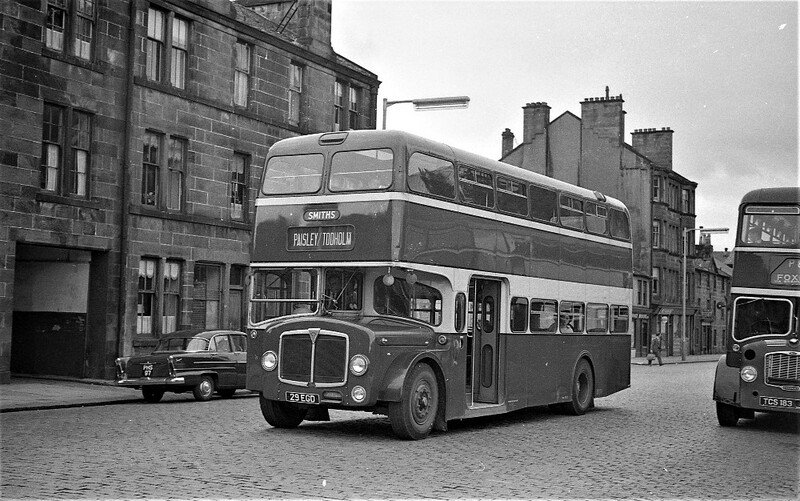 Gordon writes "In the X77 timetable it shows stopping at Fenwick as Stewarton Road and in small print it shows guidance as department of transport. Citylink 900 is similar both stopping places at Edinburgh end and Glasgow extra stops for carriage service." 50214 and 50211 in Ayr bus station on May 26th by Gordon Scott. Close to a batch of Golds which nearly entered service in Oxford, 10907 works an X16 service out of AYR Bus Stn on May 26th by Gordon Scott. 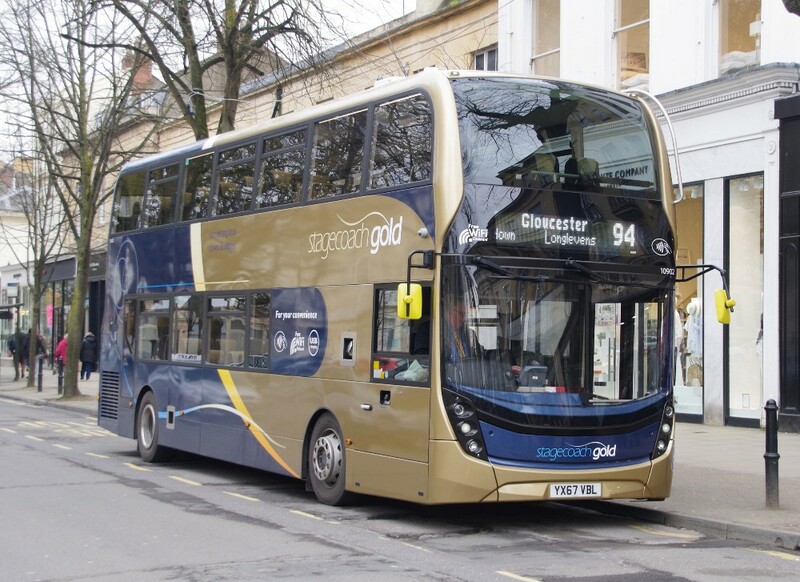 Readers will be aware the new Gold MMCs 10902-5 were transferred to Cheltenham before use but 10905 returned to Oxford to cover for a VOR Gold. 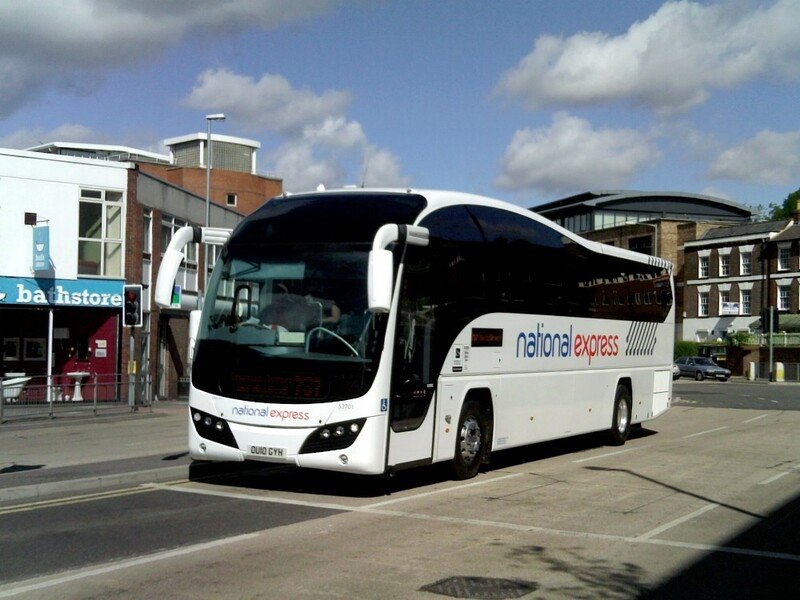 Now Carl Berry has sent pictures of these buses on the new duties. 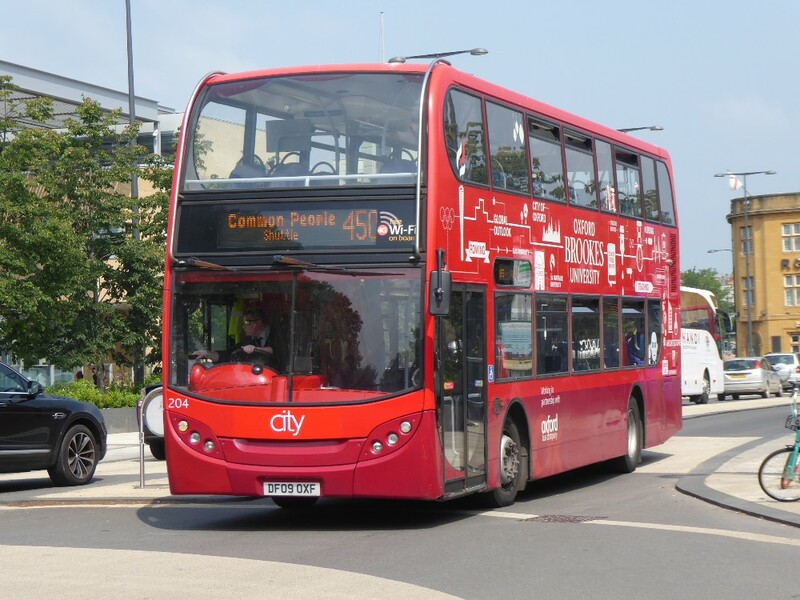 Carl Writes "10902-10905 have entered service on service 93 and today (Saturday) all four were on service. The Monday-Friday service appears to only need three vehicles. 10902-10904 have logos for the 93, 10905 is plain Gold. 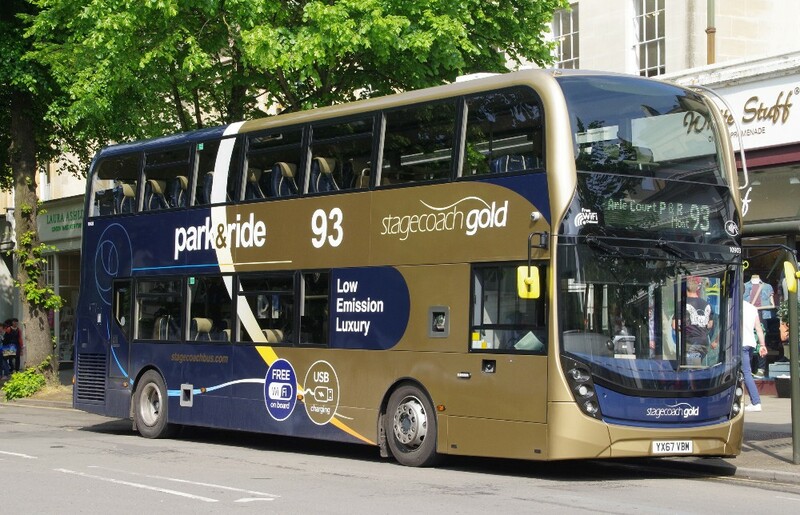 As several other services in Cheltenham are 'Gold' the P&R buses don't stand out so much any more. However I don't know if the Gold livery was intentional or coincidental because the vehicles were available. Attached are views of 10902 in Cheltenham on the 94 on Saturday 7th April and 10903 and 10905 on the 93 on Saturday 26th May." 10903 and 10905 working the new 93 Park & ride service on May 26th by Carl Berry. Earlier on April 7th and before the loan of 10905 to Oxford, the Gold is seen working the 94, again by Carl Berry. 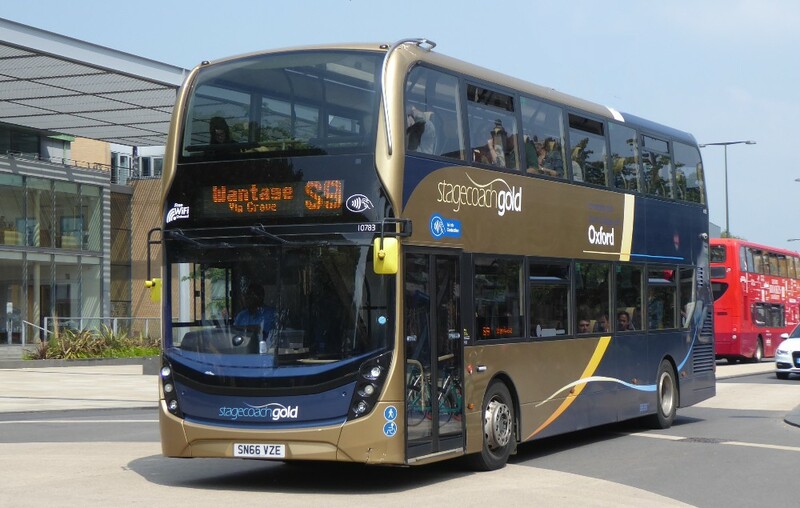 It is interesting that in the very early days of Gold buses, several were transferred from Cheltenham to Oxford and may now be seen on the Witney services. 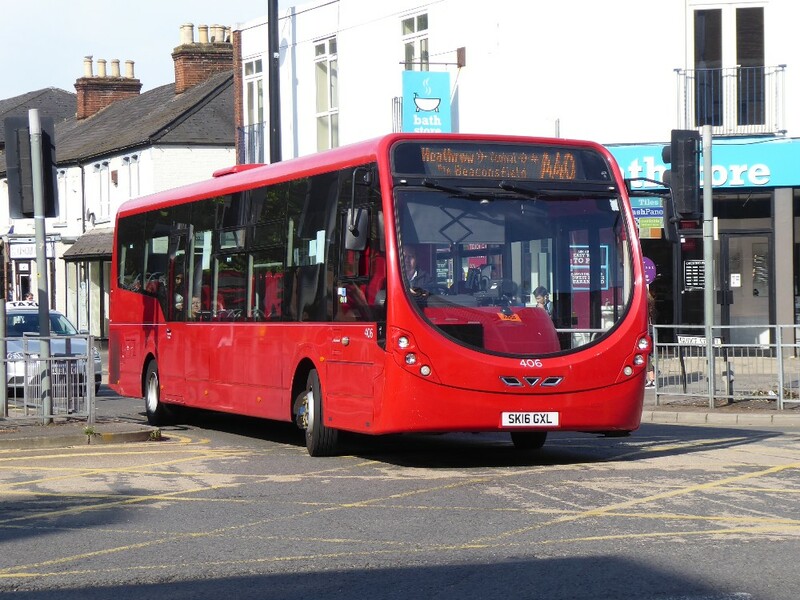 Witney based 15536 VX59JDF works the S1 on May 26th by Gavin Francis. Finally a picture which appeared in my email which I thought I would share with readers! 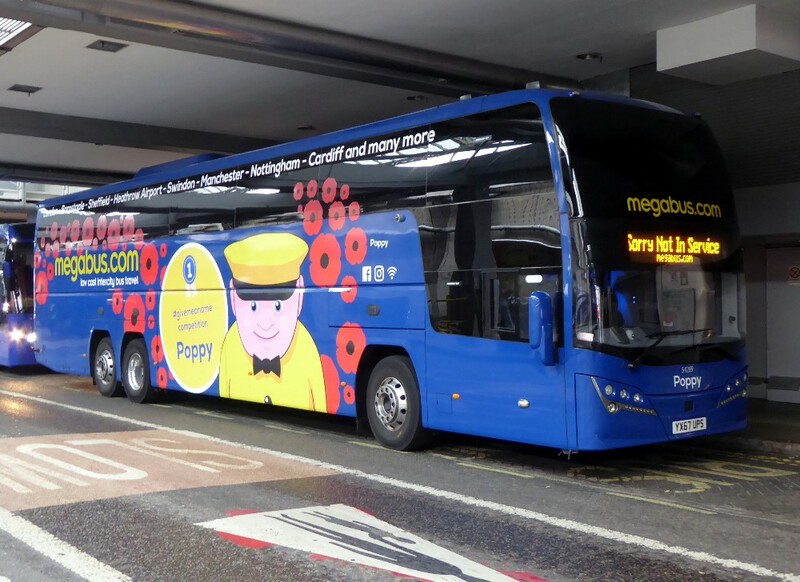 Now adorned with poppies, Megabus 54289 is seen in Bulleid Way on May 24th by Gavin Francis. Newbury and District E200 YY64TYC seen on October 15th by Simon Caygill.